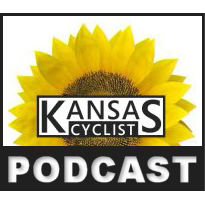 This is episode 21 of the Kansas Cyclist Podcast, and in this episode we interview Andy Clarke of the League of American Bicyclists, catch up with a few Biking Across Kansas riders on tour, and talk with the folks at Road ID about their personal identification products for cyclists. We’d like to welcome Road ID aboard as the latest sponsor of the Kansas Cyclist Podcast. In this episode we talk with Road ID co-founder Edward Wimmer (shown on the right) and Director of Marketing P.J. Rabice (left) about the Road ID product line, how the company was started, and how their products benefit cyclists, runners, and other athletes. Road ID is an innovative personal identification product that you wear around your wrist, around your neck, or attached to a shoe. In the event of an accident, if you can’t speak for yourself, your Road ID will. It contains all the information first responders, such as police and EMS, need to get you the medical attention you need, and to contact your loved ones. Road ID has kindly provided gift certificates, which we’ll be passing along to podcast listeners in the coming months. We’re still working out the details, so stay tuned to upcoming episodes. 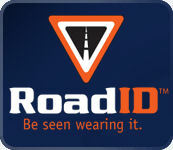 In the meantime, check out the Road ID product line, which includes not just the wearable identification, but safety accessories such as lighting and reflective products, as well as Road ID apparel. Both Randy and Ed, co-hosts of the Kansas Cyclist Podcast, have been Road ID customers for a long time, and neither of us will go for a ride without this critical piece of safety equipment. We think it’s that important. The Race Across America is currently in progress, and, as we record this, passing through Kansas. The Race Across America (or “RAAM”) is an annual endurance cycling event in which folks ride their bikes from Oceanside, California to Annapolis, Maryland, a distance of over 300 miles. In Kansas, the route passes through Ulysses, Montezuma, Greensburg, Pratt, Maize, El Dorado, Yates Center, and Fort Scott. Wichita Updates Their Bicycling Laws The Wichita City Council has unanimously approved an updated version of bicycling ordinances to bring the city code in line with state statutes related to lane positioning and sidepath requirements. Also, bicycle licenses are no longer required! 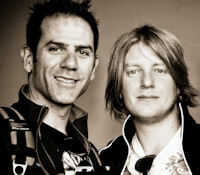 The Border Raiders tour has been canceled for 2010. They promise to return for 2011. 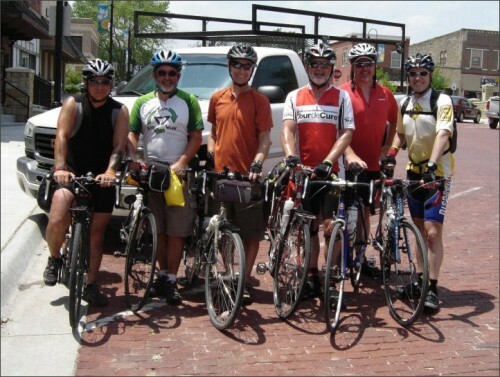 Upcoming single-day events include the Life Support Rally, the City of Fountains Ride, the Denver Century, the Historic Gravel Road Ride, the Amelia Earhart Century, the Firecracker 100, the Freedom From Cancer Ride, and the Tornado Alley Bike Tour. Lots of great rides to choose from! Bicycle tours that are launching soon include the Bicycle Tour of Colorado, the Tour de Nebraska, and the Katy Trail Ride in Missouri. It’s too late to join those tours this year, but mark them on your calendar for 2011! The Tour of Lawrence returns to Lawrence, Kansas over the July 4th weekend with three days of racing featuring events with professional, amateur, and youth divisions racing on the streets of Lawrence. Exciting! Plus, trail news from Kansas, and a bicycle safety discussion of riding two-abreast: what is the law, what is courteous, and what is safe? 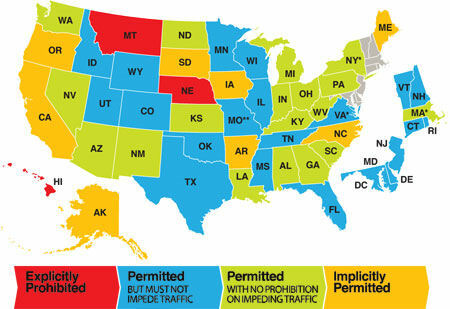 You can learn more from Bicycling.com’s “Road Rights” column: Two by Two. And finally, thanks again goes to Mark Franzke for providing the original music you hear on the Kansas Cyclist Podcast. As always, we hope you’ll listen to the Kansas Cyclist Podcast, and consider subscribing to future episodes. We welcome your feedback, so please send in your comments or suggestions or call 913-938-6855 to leave a voice message.